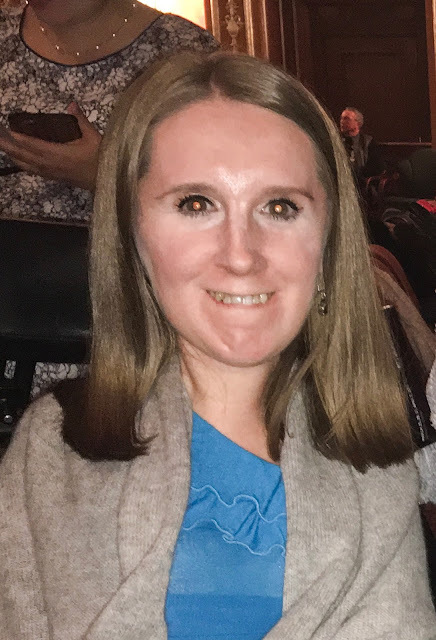 August is SMA Awareness Month, so I thought that each Wednesday in August, I'd share something different with you about my life with SMA. I want to give you a better idea of what it's like for me to live with SMA, and how it might be different - or the same! - from your life. 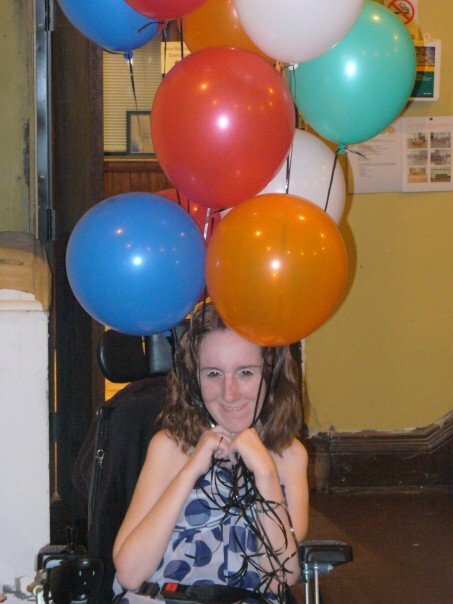 Today, I just want to tell you more about how SMA has - or hasn't - affected my life. I was diagnosed with SMA when I was two years old, with a muscle biopsy - that means they took a little piece of muscle from my thigh to test it (I still have the scar!). 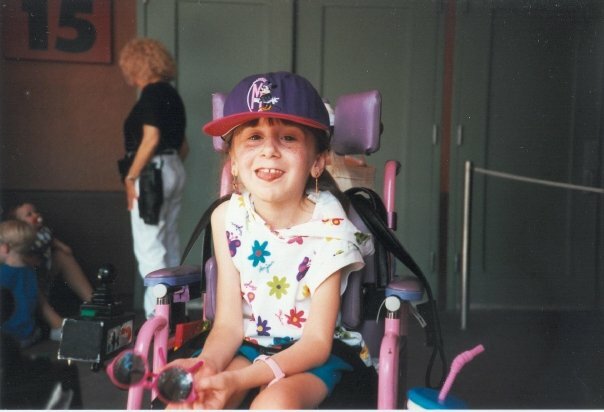 Since I was so young, living with SMA is my normal - it's the only life I've ever known. I never know how to react when people - usually random strangers I pass - make a sympathetic comment about me being in a wheelchair. I understand that it's meant in a kind way, and I do appreciate that - but really, I'm just living my life. I've never been able to walk, so I've been in a wheelchair since I was three years old. My favorite wheelchair was a Mattel Barbie-branded pink and purple wheelchair, and it became my identity. For years, people would ask me if I used to have a Barbie wheelchair! It was fun to have a chair that made such a memorable impact on everyone. You can see the pink and purple of the Barbie wheelchair. My childhood was (relatively, of course) normal. I loved having sleepovers with friends, I was obsessed with the Spice Girls, and watched TGIF every single Friday night. As I got older and it got harder for me to go to friends houses as easily, accessibility wise, my house became the de facto hangout house. My middle school had "Teen Centers," which were dances plus rock climbing plus movies plus bingo plus airbrush tattoos - and my friends and I all got ready in my bedroom, with lots and lots of body glitter. In high school, I took AP classes (I was the only girl in my AP physics class! ), hung out at the local Caribou Coffee with my friends, and went to prom like everyone else. I graduated, I went to college, and I lived in the dorms like everyone else. I struggled to adjust to living away at college like lots of other people do, and I learned to love the independence like lots of other people do. Freshman year of college at my co-ed service fraternity's formal! BUT - there's always a but - each of these times were filled with challenges, too. In high school, I got incredibly sick with a bad case of the flu, and my body went into shock. I was in the ICU for a week and had to miss the freshman formal, which I was really bummed about. In college, while I was adjusting to living away at college, I was also adjusting to have someone other than my mom help me with all my daily needs for the very first time ever. And in addition to dealing with all the normal life things everyone else is dealing with, I have to deal with many, many doctors appointments each year, and part of my mind always has to be keeping tabs on my health. If I get sick, it can get bad really quickly, so I try to be super proactive at the first sign of a cold. This is my life, though, and I've tried really hard to not let SMA limit me or define me. I'd love to hear from all of you with any questions about SMA or my life - no question is too personal, and you won't offend me! You can always e-mail me at theheatherreportblog@gmail.com if you don't want to leave a comment below. Thanks for reading and commenting! I'm really looking forward to writing the rest of the Wednesday posts in August.